Renault India, one of the fastest growing automotive brands in India, announced the launch of the New Duster Adventure Edition. The New Adventure Edition boasts of 17 new exciting enhancements, which makes it the perfect SUV with a strong visual identity and unparalleled comfort. The Duster Adventure Edition is tailor made for new Adventure and loaded with exciting features. It resonates the “What Stopping You” spirit, leveraging the essence of “Adventure” that lies within the product and the consumer’s life. It is truly an epitome of freshness in style and ruggedness. 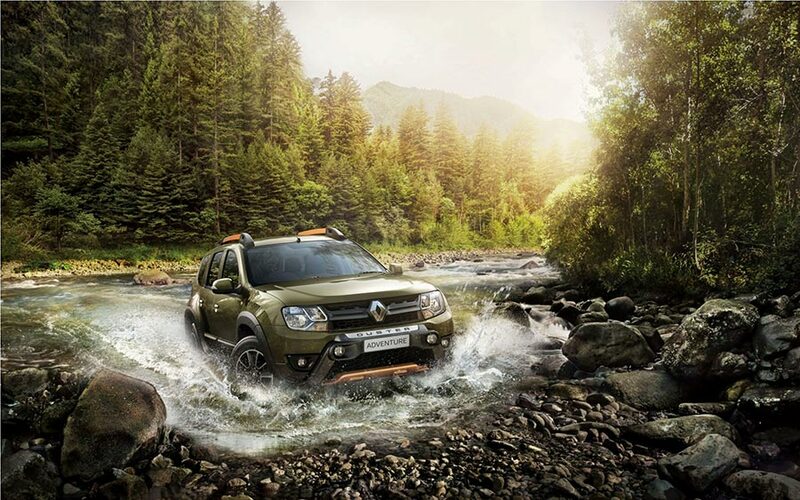 New Renault Duster Adventure Edition will be available in 3 variants and prices. Adventure Edition RXE 85 PS, Adventure Edition RXL 85 PS and Adventure Edition RXZ AWD 110 PS at a special price of Rs. 9.64 Lakh, Rs. 10.45Lakh and Rs. 13.77Lakh (ex-Delhi), respectively. Bookings for the New Duster have commenced across all Renault dealerships, and can also be made through the Renault Duster App, which can be easily downloaded from the Google Playstore & Apple store. True SUV Character Exteriors: The new Duster Adventure Edition maintains its iconic SUV appeal. Exterior embellishments like all new stylish “adventure branded” side decals, matte black wheel arch & door claddings. New mustard yellow roof rails with Duster branding along with shiny black front grille and Tailgate Embellisher with “Duster” in Chrome garnish also accentuates the car’s ruggedness and enhances its on-road presence. First in segment Interiors: Renault as a brand is well-known for its ingenious innovations when it comes to introduction of first-of-its kind features in its vehicles. The interiors of the Duster Adventure Edition comes with the introduction of first-in-class stone washed Denim Seats. This new additional element perfectly complements the ‘outdoor’ SUV character of the vehicle; seat covers are removable & cleanable, taking the customization to the next level. Apart from these new attributes, it will also feature all new black fabric insert on door trim with mustard yellow stitch steering wheel with “Adventure” branding. Other exciting interior enhancements are mustard yellow air vents & instrument cluster center ring, dual steering wheel leather wrap with mustard yellow stitch line, bright chrome inner door handle, new Adventure branded floor mat with denim style border. The New Duster Adventure Edition is available in 4 colour options – Pearl White, Moonlight Silver, Outback Bronze and Slate Grey. To add to the techno-savvy element of the SUV, Renault has also introduced an interesting tech attribute ‘SmartApp’ – a device & app, which enables endless possibilities for the customers to interact with the car. This application is available on Android mobiles and iPhones starting from the 5S series. The app comes with pre-set goals in terms of distance, speed and time and also maintain a real time record for all trips. It also offers a host of safety alerts along with an option to scan and save important documents. Renault Duster Adventure Edition will be powered by the powerful and frugal K9K 1.5 dCi (Common Rail Direct Injection) engine that effortlessly overcomes every challenge and it’s easy to own and maintain. The Duster Adventure churns outputs of 110 PS and 85 PS available in diesel powertrains. The powerful 110 PS version has a 6-speed manual transmission with gear ratios perfectly matched to the engine’s output with an excellent fuel efficiency of 19.72 kmpl (ARAI). The 85 PS version features a 5-speed manual transmission that gives the best drive on highways and delivers the best-in-class fuel efficiency of 19.87 kmpl (ARAI).